GUELPH, ON – Wellington Brewery has announced the schedule and other details for the 2017 edition of its Queen of Craft series of beer education events for women. March 3rd at eBar: Beerography World Beer Tour – Origins and migration patterns of beer across the globe. March 10th at Royal Electric: Beer Myths Busted – A debunking of the many rumours that surround our favorite bubbly beverage. March 17th at Innovation Guelph: Women in Beer Media: From Babes to Bosses – A panel discussion on how women have being represented in beer marketing over time, and if craft breweries are immune to using exploitative imagery. March 24th at OPUS Lounge: Beer n’ Cheese n’ Treats – With Jen Whyte of Taste of Craft plus a few dessert pairings made by local female pastry chefs using beer. March 31st at The ANAF: BEER BASH! 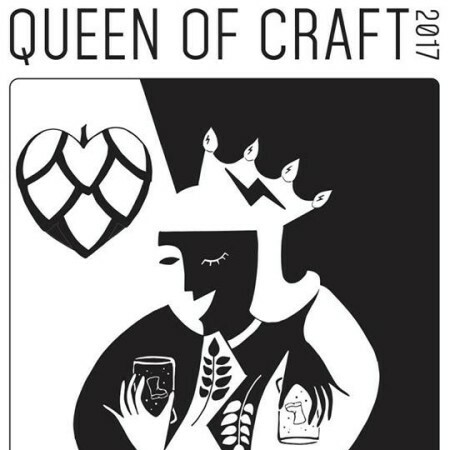 – Try out Queen of Craft collaboration beers brewed with various Ontario Craft Breweries. Full details and ticket ordering for all events are available on the Queen of Craft 2017 Eventbrite page. Ticket proceeds for the series will go to Women in Crisis Guelph-Wellington to support its important work in the community.